April 28 -- This time of the year is almost always busy at the Centene Center. 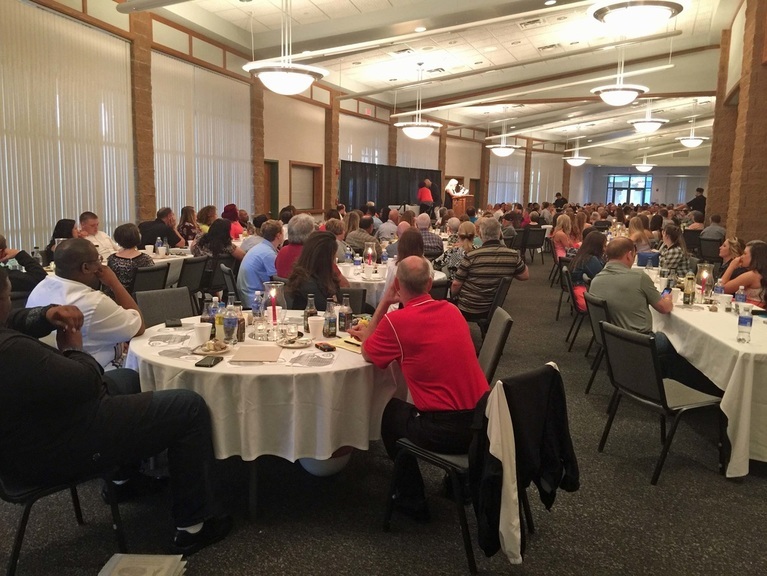 One example was seen on April 27, when the Mineral Area College held its tenth annual Athletics Banquet before a full house. During the evening it was noted that student athletes at the school tend to make higher grades than the student population at large. Four of those students honored scored a perfect 4 point average -- the highest attainable at the school as was noted in remarks by Jean Merrill-Doss, Dean of Students.